We deal our prices with all our partners in a regular basis. 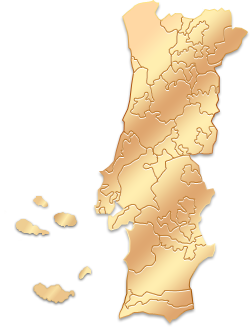 You will benefit from a comprehensive guide with the 14 wine regions of Portugal, information about wine grapes, grapevines, culture and history of the different regions. Portugal has a rich wine heritage and offers high quality gastronomy. Moreover our wine is recognized by connoisseurs throughout the world and for this reason we present this unique guide for the promotion of the wine tourism in Portugal. The main Luxury Wine Hotels, Boutique Hotels and Luxury and Charm Hotels in rural areas related to Wine Tourism, Wine Cellars, Farms and Wine Restaurants are available here for your enjoyment. Tourism and Oenology Technicians will give you all the appropriate advice for the planning of you travel. This support is 8 hours a day, 7 days a week. You will benefit from the best and most complete booking in the Enotourism area, where all aspects are taken into account. You can plan your entire travel in the comfort of your home, surfing on the portal www.winetourismportugal.com. Through the simple selection of the services and products that most delight you, you can make your reservations easily, safely and with assistance. Make your wine tourism travel in Portugal just perfect! Because safety is the primary objective of www.winetourismportugal.com, we bring to you a portal that meets the security requirements to prevent the misuse of your personal data or either of your credit card data as well as the unauthorized access to your data. For more information on privacy policies implemented in this portal, Click Here. For www.winetourismportugal.com it is essential to be able to reach you in your own language. With 5 languages initially, but soon with 9, including Italian, Russian, Japanese and Mandarin. You can view and manage all your bookings in your personal area and you will have an exclusive area in the Home Page to check your latest views on the Portal. You will benefit from exclusive offers that are the result of negotiations between Wine Tourism in Portugal and our partners. Because we have increased the level of cooperation between the main economic agents in the Gastronomy and Wine sectors and because we promote Cross-selling and encourage new products, we introduce many new ideas to you. Register for free to receive our newsletter and get the best deals at the best prices: Presentation of events, articles, reports, news and novelties. Your email address will not be shared and you can cancel your free subscription at any time. We get reviews from actual customers which may give you a more objectified idea about a particular region or partner. You have a Chat room at your disposal, where you can share your experiences and make new friends.